Financial terms of the renewed agreement, which was first reported by Reuters, were not disclosed. It also remains unclear how long the new contract will run. Apple has been licensing TomTom data since at least 2012, when it introduced Apple Maps alongside iOS 6. 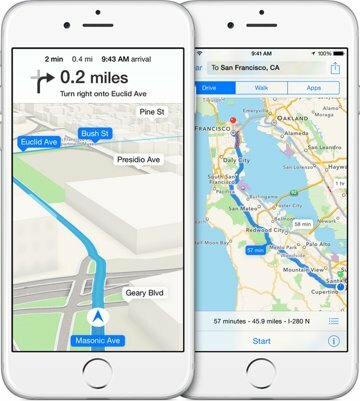 TomTom provides much of the street-level detail for Apple Maps in North America and Europe, two of Apple's largest and most important markets. Apple has long been rumored to have interest in purchasing Nokia's HERE maps division, which is a major rival to TomTom. Such talk has cooled off, however, following reports that the bidding for HERE has come down to carsharing service Uber and a consortium of German automakers. Apple is also known to be operating a fleet of minivans loaded with high-resolution laser scanners and precise global positioning equipment. The purpose of this data gathering exercise is unknown, but it will likely augment the data Apple receives from TomTom and others, including the OpenStreetMap project.